Product #60713 | SKU OSP 1030-21 | 0.0 (no ratings yet) Thanks for your rating! 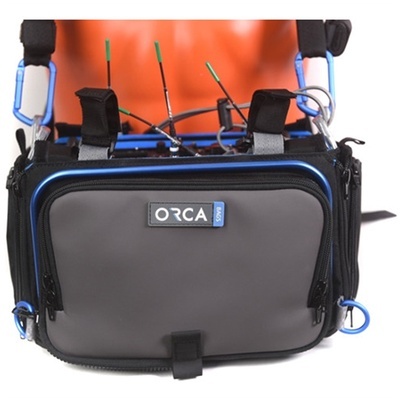 Revamp your OR-30 audio/mixer bag with the gray Detachable Front Panel from Orca. The Orca Detachable Front Panel for OR-30 Bag (Grey) revamps your OR-30 audio/mixer bag with the grey. Easy to zipper on and off, this front panel can take the place of the detachable pouch in front of your OR-30 whenever you need your bag to be slimmer and lighter. When attached to the bag it serves as a front pouch, and when removed it turns into a handy standalone pouch for your sound accessories.